Our teachers are the backbone of our school. 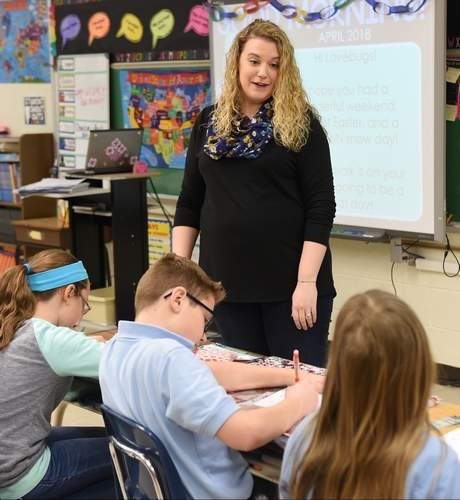 Their dedication to educating the whole child – spiritually, emotionally, and academically – is what makes St. Catharine of Siena such a special place. We invite you to consider joining our SCS family! 1.Computer/Technology Teacher for K-8. : Must be proficient with Google G-Suite and Google Apps for Education. Must organize, maintain and manage class systems in proper working condition. Teach students and learners to use computers. Design and develop appropriate computer instructional material using the ISTE standards. Manage and monitor student behavior. Initiate and implement systems, procedures and other student management issues. Develop and implement lesson plans and classroom activities in consistent with the student management issues. Determine and troubleshoot technology services for staff. Coordinate and collaborate with teachers, principal and instructional committee. Integrate special lesson plans with core academic curriculum. *Please send all clearances, resume, and references to Mrs. Marcella Kraycik, Principal, 2330 Perkiomen Avenue, Reading PA 19606.